This is what I have been doing lately. I won’t clean it up until it is full. Thats how to really do things these days anyways. 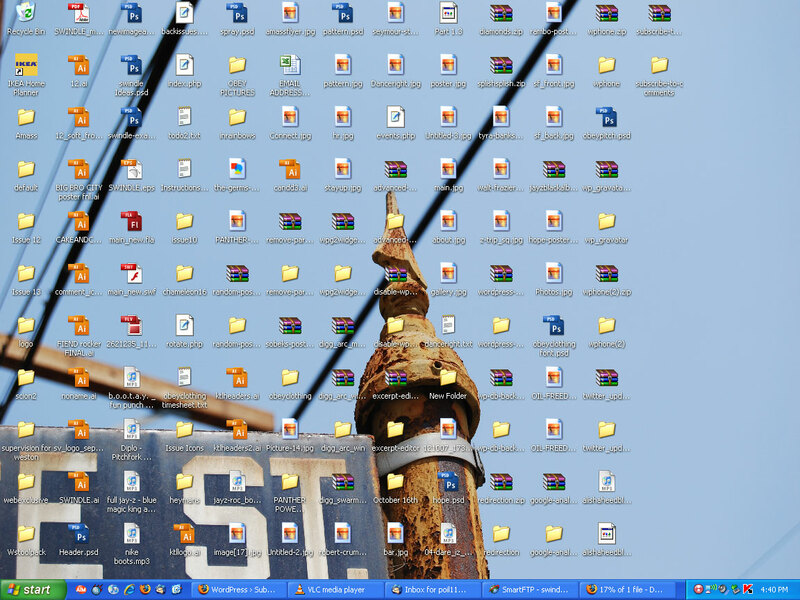 I used to be so organized, but now i have so much going on, its hard to organize a desktop. This was drafted on November 2007, I still work the same way but I only have a few things now. 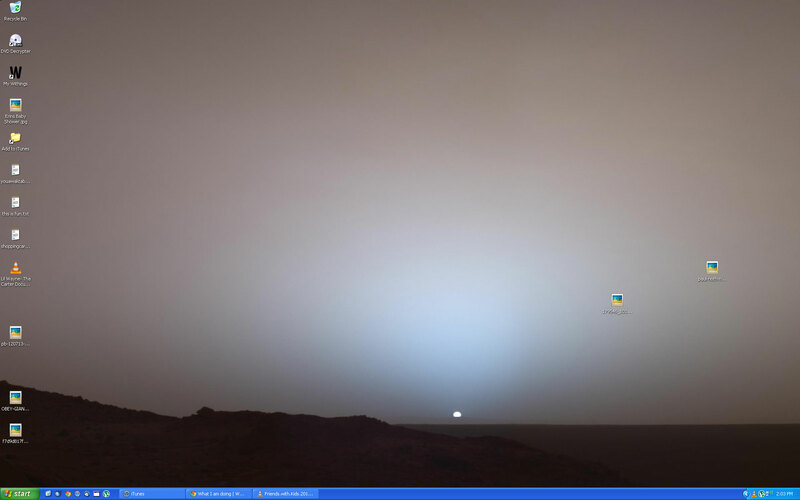 This is what my desktop looks like now, the screen is so much bigger.